Repeats every week every Tuesday and every Thursday and every Saturday until Tue Dec 31 2019. The Free Store, ReShop and ReCycle Community Bike Shop are OPEN. The Free Store is filled with great items awaiting a second life: books, kitchen items, nicknacks, board games, garden pots, building hardware, and lots more. If you'd like to give or consign an item to the Free Store or ReShop, call ahead to see if they accept the item or drop it off anytime the recycling depot is open (see a staff member when you arrive). Dinner plates, side plates, cups, glasses, cutlery and cloth napkins are available for rent by donation. Drop by the depot or call us to find out more. The bike shop is open on Saturdays from 10 am to 3 pm and is located near the exit of the recycle depot. The bike shop offers bike tune-ups and repairs and has refurbished bicycles for sale. 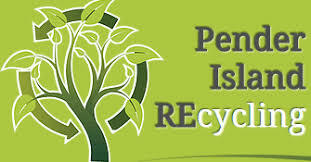 The ReCYCLE Bike Shop aims to help make Pender's bikes safe and more fun to ride and encourage healthy, alternative transportation.